Criminals have taken the cyber route to steal money from your wallets. Cybercrime has evolved in terms of both nature and scope. Cyber security is in response mode and growing in significance. 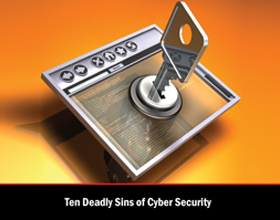 This paper focuses on the ten deadly sins of cyber security. Fill out the form below to download your whitepaper!